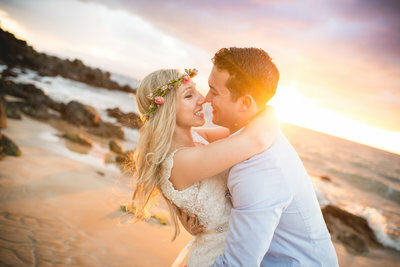 Kristen and Kyle were very laid back and just wanted to have a good time at their Maui Beach Wedding. Kristen used to do corporate events and weddings and saw how people obsessed over every detail taking all the fun away. Which is exactly why we love what we do, we want to make a bride and groom’s wedding day nothing but fun! These two were a dream to work with as they let us work our magic! With crashing waves and whales breaching in the distance, we could not have asked for a more perfect evening for these two to say, “I do”. There were some people hanging out at the beach but there was a perfect spot open for the wedding, saved just for them! 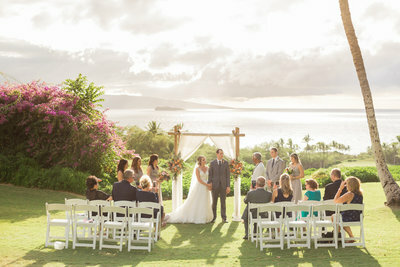 We especially love how they included family at their Maui Beach Wedding! Kyle’s kids served as the bridal party, his daughter Gracie absolutely adored Kristen and was a great bridesmaid! This couple was also joined by their parents and siblings as their only guests. They all love it here so much that it only made sense to do a family vacation plus wedding all in one! In fact, our bride has been to Maui every year since she can remember and we are positive this is one trip none of them will ever forget. 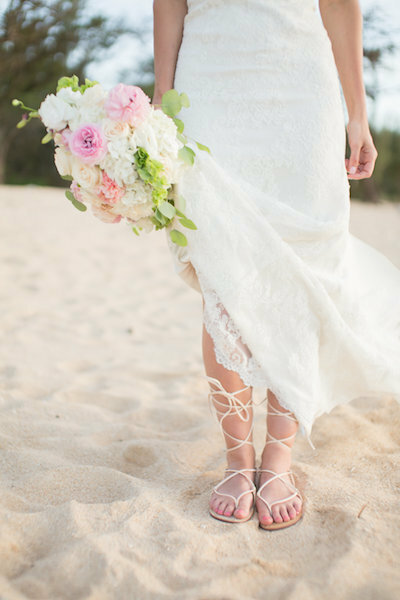 Thank you, Kristen and Kyle, for trusting Simple Maui Wedding to make this day every bit as special as your relationship. We wish you all the happiness on the journey ahead! Congratulations and Warm Aloha!